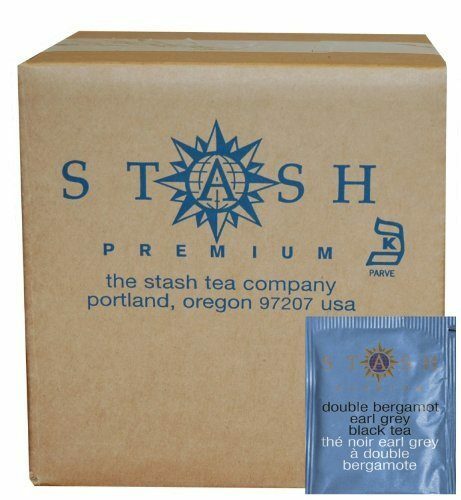 Stash Tea Double Bergamot Earl Grey Tea Only $15.99! You are here: Home / Great Deals / Amazon Deals / Stash Tea Double Bergamot Earl Grey Tea Only $15.99! Head over to Amazon and order a 100 count box of Stash Tea Double Bergamot Earl Grey Tea Only $15.99! Prime members get FREE shippings as do orders of $35+! Stash Tea is very highly rated by customers! For many years, Stash Earl Grey Tea has been a favorite of tea lovers. Many people seem to love the careful balance of citrusy oil of bergamot and the blend of fine black teas which our Earl Grey blend is famous for. Certain Earl Grey fanatics have grown especially fond of the top grade Calabrian oil of bergamot that we use and have asked for more,. ..More,. .. MORE! Thus Stash Double Bergamot Earl Grey was born!